In this week’s 5 Education Articles to Start Your Week, we pointed out some interesting articles and studies which zeroed in on engaging students with technology. One particular article which caught our eye was about the Project RED (Revolutionizing Education) research team”s recent findings on education; it really energized us about the benefits technology can have on today”s school system. In short, the Project RED team, whose mission is to “define technology models that can be replicated by schools across the nation,” has determined 9 factors which they believe improve test scores, lower drop out rates, and increase the chances of students graduating and moving on to college. According to the study, only 1% of schools actually have employed all 9 factors identified in the study at this time. However, Project RED believes that (when used in combination) these factors are the key we need to unlock the doors to a new generation of performance within our schools. To us, these “implementation factors” as Project RED calls them, seem more like a call to action to save our schools. In the Project RED world, one of the key factors in improving drop out-rates is providing technology to intervention classes (ELL, Title I, special ed and reading intervention, specifically) . The results of this implementation are especially potent when technology is available for every student. When a lower student/computer ratio (1:1) is present, the technology serves to improve test scores, reduce drop-out rates and provide displine and focus to even the most attention-challenged student. It’s especially effective when students are permitted to set their own pace, as that teachers benefit from being able to focus on the students who need the most direction and assistance. In Why the New Space Race Begins in the Classroom, we talked about the impact that transitioning the top performing graduates into teaching positions can have on student performance. However, we haven’t really touched on the impact principals can have on their schools. According to Project RED, a good principal can have a huge impact on how well a school performs, overall. Also, when a principal with proper training is introduced into a school system that has correctly implemented technologies, the benefits of a having the principal as a strong leader increases. Twenty years ago, students had a much smaller pool of learning from which to drink. Now, with birth of Web 2.0 technologies, the factors that used to limit student student learning are no longer present. Online learning allows students who are struggling to reach beyond their network and access specialized assistance from a wide variety of tutors and teachers. Project RED found that when students are able to use technology to collaborate more actively with other individuals, they are more significantly engaged (thus reducing the need for disciplinary action from teachers). Teachers also have a more comfortable way to extend the school day beyond 3pm. Twenty years ago, it was impossible for a teacher to speak to their students without picking up the phone. Now, students have access to more technology at home and more channels of communication. Email, message boards and video tutoring can connect teachers with their students without the student or teacher having to leave his or her front door. Though overall the study found that very few schools integrate technology properly, the schools which did implement it into their core curriculum correctly out performed all other schools. Though schools with a lower student/computer ratio performed better, those schools who had a 1:1 ratio AND also made it a point to increase the interactions of students with technology in their core competencies has better performing students with higher test scores and lower drop-out rates. Online formative assessments not only decrease the cost per student (average of $44 per student), it also was one of the top 5 factors in improving test scores for students. Though the Project Red study determined that all students benefit from technology, the schools that showed the best performance were those which provided a computer for every child. Unlike schools with a higher ratio of students to computers, 1:1 schools were able to engage their students more frequently (leading to fewer disciplinary incidents). The study also found that 1:1 schools with properly implemented technology were able to save money by reducing paperwork (40% reduction) and copy machine expense (24% reduction). Schools which engaged in virtual field trips monthly showed improvement in one area that is a particular challenge to troubleshoot: improving dropout rates. According to the study, schools which encourage frequent virtual field trips had some impact on keeping students in school. Since 25% (about 1 million) US students drop out of school a year, Project Red has a keen interest in keeping at-risk youth engaged in the classroom; they believe fun technologically-engaging activities are key to keeping a student on the right track. Interestingly, Project RED found when a school employs all 9 of the key technological factors listed here, the reduction in dropouts jumps to 89%. Despite the fact that daily use of technology is one of the top five factors in improving discipline within schools and increasing attendance, Project Red found that many of our nation’s students only have access to technology weekly or worse, monthly. If you’re going to implement a huge technological program in schools, you need principals who have received the proper training. A good principal is key in motivating teachers and making the process of measuring the success of these programs run more smoothly. The principal is also the key figurehead who will work for change on all levels of authority, from classrooms up through their superintendents and even the school board. View more presentations from socrato. So what do you think? Are these steps realistic to you? What steps are you or your school taking to increase student engagement with these tools? 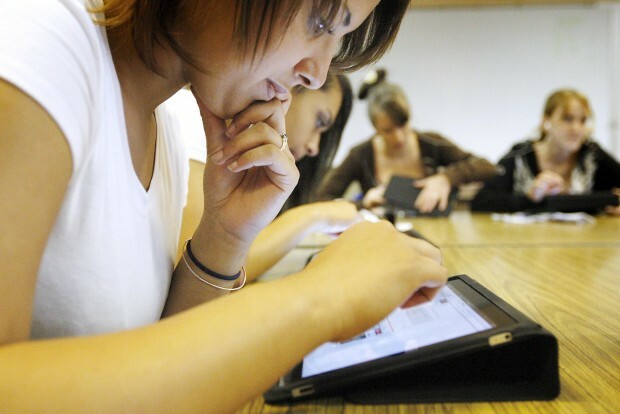 Do you find it easy or difficult to inspire your students with technology?